I recently completed Vive Peru’s summer session 2 this past year (June-July 2016), and I enjoyed every last minute of my 5 weeks living there. I participated in the public health program, during which I had the opportunity to work on an ongoing parasite prevention campaign in two of Trujillo’s communities in need, teach public health lessons at a local school, create and teach workshops for local women, and participate in three medical campaigns around the city. Trujillo is a working city, with a large wealth disparity between its residents. There is plenty of work to be done, and I think one of the most special attributes to this program is the fact that the program never stops serving the community, no matter how few volunteers are present. It is a year-round non-profit, and the community truly feels the positive impact Vive Peru provides. I particularly enjoyed working directly with the city’s inhabitants through house visits, interviews, and workshops with women in the community and teaching classes and workshops in schools. Living with a host family was another unique part of my experience with Vive Peru. I was placed with one other volunteer in a home with a kind woman who loved to cook and helped me progress in my Spanish much more quickly than I would have on my own. Being able to live with a resident of Trujillo provided a much more in-depth experience of Peruvian life than I would have found in any other lodging arrangement. The neighborhood where I lived was safe, and I never felt in danger. As someone who came into the program knowing legitimately no Spanish whatsoever, the work I was doing and the full-immersion lifestyle enabled me to improve and pick up on the language at a rapid pace. I left the country feeling confident in my Spanish comprehension and like I had very much progressed in my speaking. Along with the amazing work I was able to do in Trujillo during the weekdays, I was also afforded many opportunities to travel on the weekends. If desired, one can travel every single weekend! I was one who did desire to, and was able to visit four beautiful and extremely different areas of Peru during my stay. I went hiking in the edge of the Amazon Rainforest in Chachapoyas to see the third free-falling waterfall in the world, up in high altitudes on the beautiful glaciers of Huaraz in the Andes Mountains, and in the ancient hills of Cajamarca, full of Incan history. Travel within Peru is relatively inexpensive, and I highly recommend it to those who have any interest. 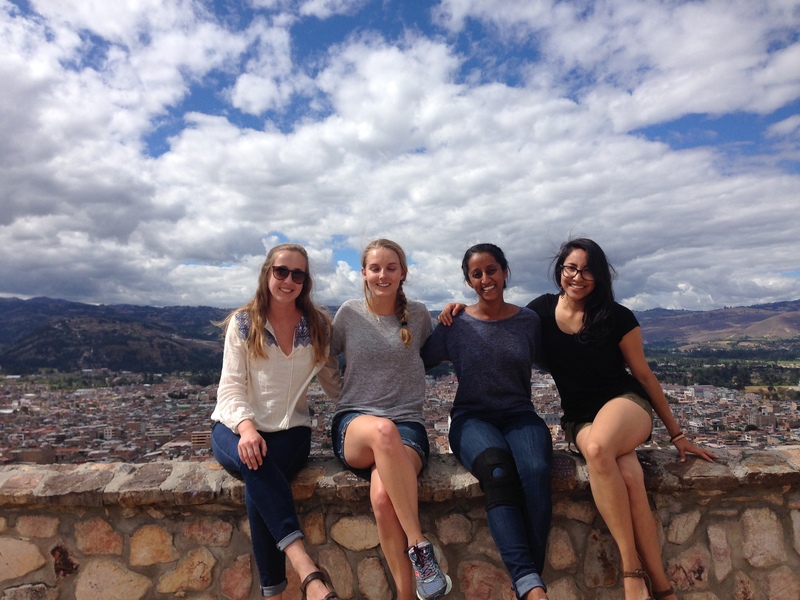 I learned a great amount about global public health, Peruvian culture, the Spanish language, and myself during this volunteer trip. I made friendships that are lasting (I am currently planning my next hiking trip with several volunteers I met through Vive Peru), beautiful memories, and gained a boatload of perspective, all while serving a community in need. I could not more highly recommend this program to those looking to travel, learn, and serve. Tori Kontor completed the Public Health program during Summer Session Two in 2016. She is currently a Master of Public Health student at Drexel University.